If you ask 10 people what economic development is, you’ll get 10 different answers. 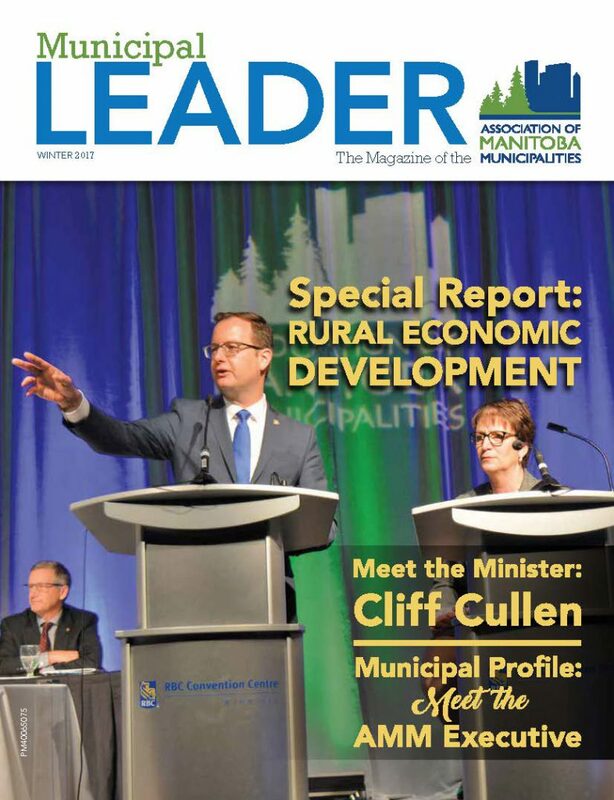 Rural Economic Development is a hot topic these days and we’ve got 16 pages telling you why in this issue’s Special Report. We’ve profiled success stories large and small, from right here in Manitoba to reaching across the globe. You will also hear from the Minister of Growth, Enterprise and Trade, Cliff Cullen, and learn about the many economic development programs and tools that are available to municipalities. We’ve also talked to the “new” AMM Executive team to find out what their priorities are for the coming term, featured a new “solution to pollution”, highlighted the work of the AMM and Province of Manitoba’s most recent Technical Advisory Committee, and included a pictorial recap of the 18th Annual Convention. We hope you enjoy this issue.